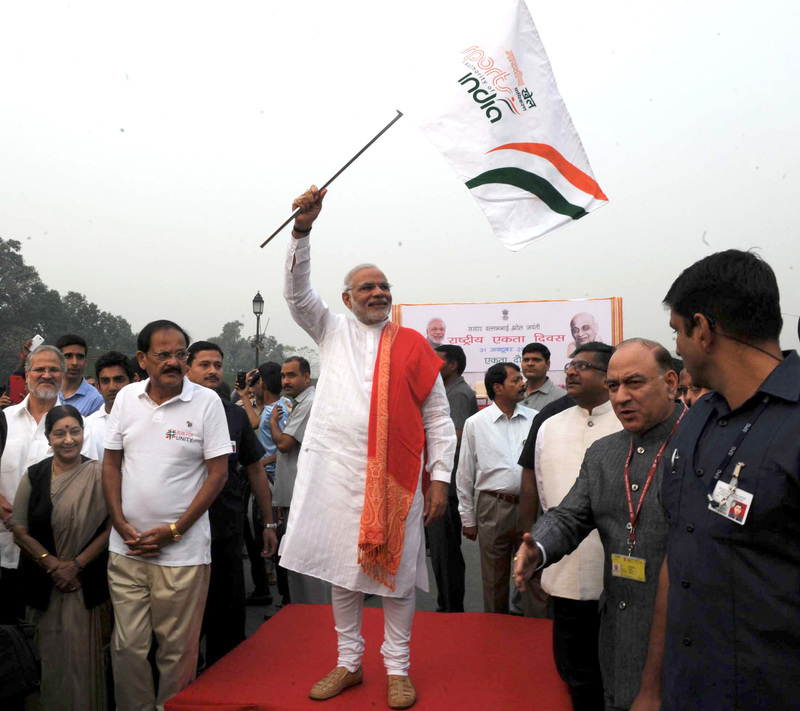 The Prime Minister, Shri Narendra Modi flagging off Run for Unity, at the Rajpath on the occasion of Rashtriya Ekta Diwas Celebrations, in New Delhi on October 31, 2014. The Union Minister for Urban Development, Housing and Urban Poverty Alleviation and Parliamentary Affairs, Shri M. Venkaiah Naidu, the Union Minister for External Affairs and Overseas Indian Affairs, Smt. Sushma Swaraj, the Union Minister for Communications & Information Technology and Law & Justice, Shri Ravi Shankar Prasad and other dignitaries are also seen.